Opening Day 2012: This is not a test! What time is it? Game time! Well, almost. Right now it’s warmup time, 63 minutes before the first official pitch of 2012. Batting practice felt a little different on the field today, as well it should. 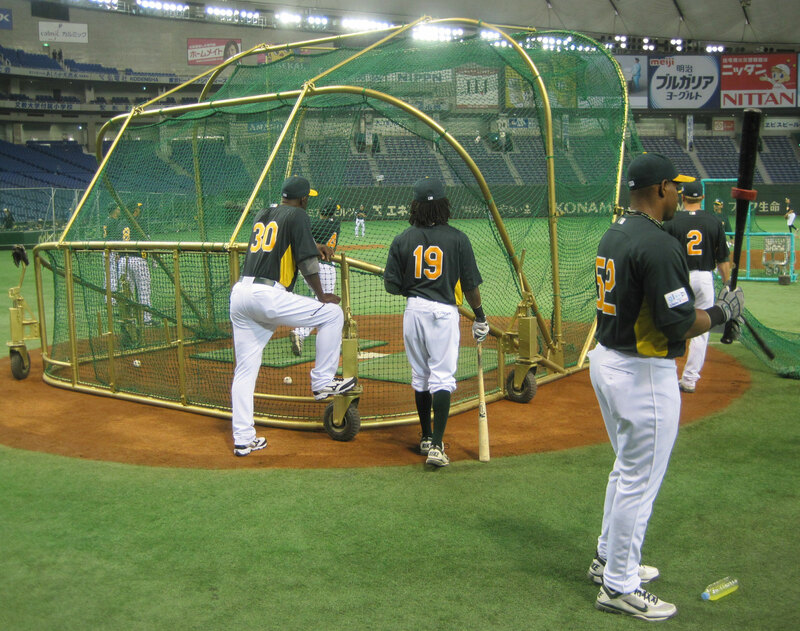 There was an energy in the air even before the Tokyo Dome began to fill with fans. Players looked more focused as they worked through familiar stretching routines. A few whispered to themselves as they stepped into the cage and quiet intensity permeated the infield. Dozens of VP’s of Something Development in suits networked behind the plate, pretending it wasn’t anything special to listen in on Coco Crisp and friends. Opening Day is apparently also picture day. I guess you don’t need one of those disposable plastic combs when you’re wearing a hat for the photo. Mariners team parents will receive preview proofs in 4-6 weeks so they can order wallet-sized copies for Mariners team grandparents. With 60 minutes until game time, it looks like the Big Egg will be jam-packed for the season opener. People here will always come out to the yard when that one dude is playing right field. 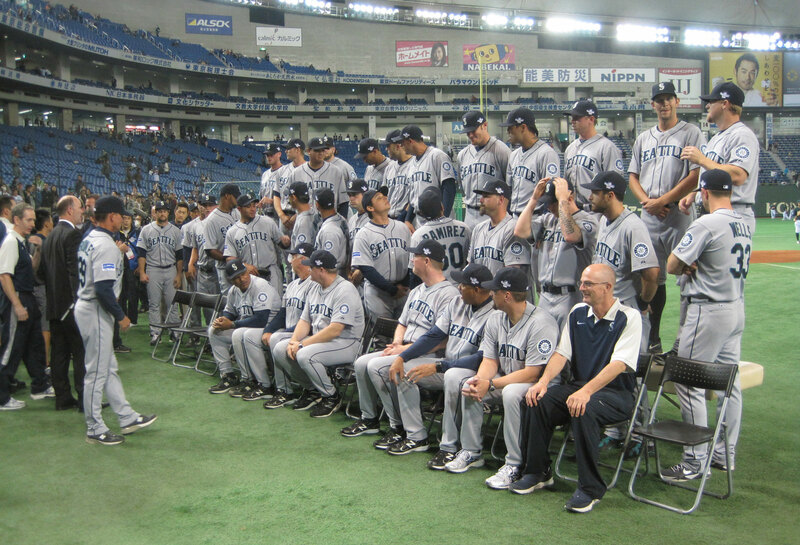 Yes, Josh Reddick has quite a following in Tokyo. 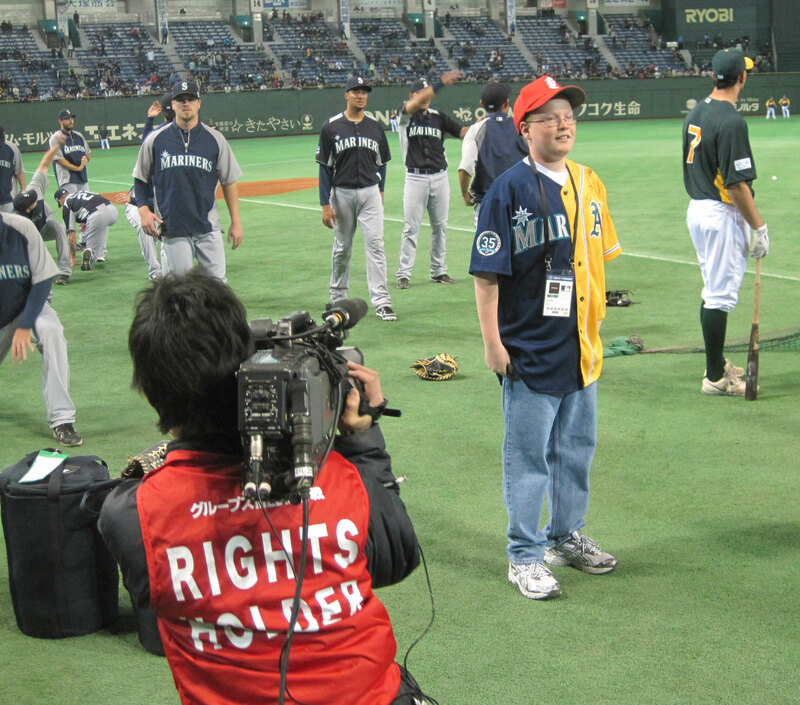 The gentleman above — whose father is an Air Force officer stationed in Japan — had his Oakattle Marithletics jersey custom-made (in China) and was collecting autographs from players on both sides during batting practice. I intended to put you the very small note to be able to say tnahks a lot once again regarding the great tips you have documented here. It’s simply extremely generous with people like you giving openly what exactly many people could have advertised as an e-book to get some money for their own end, notably since you could possibly have done it if you considered necessary. These smart ideas as well worked to be a great way to be aware that the rest have similar keenness the same as my very own to learn lots more when it comes to this condition. I know there are millions of more pleasant times in the future for individuals who go through your site.